This here begins my cloth diaper reviews again! I'm so excited to get back into it!! Wipes is fleece on this side and flannel on the print side. I am in love with this diaper. I've always loved Ooga, but never had an ooga diaper until now. She surprised me. I just told her a boy newborn and this is what she came up with. I love it. I love all the different colored snaps she used too. It looks like it would fit a newborn very well. Her newborn claims 6-14. I would agree with 6 and possibly 14 if you have a longer skinnier baby. I don't know how well it would fit a chunky short 14 pound baby though. But I know we'll probably get 2 good months out of this diaper. It has fleece inside which wicks away moisture well. As does the microfiber insert. So I love that my baby's bum will be dry. I love the wipe. It's a generous size. Flannel is absorbent and great for wiping up messes and the fleece on the other side is nice for my hand to not get wet as fleece is water resistant. OR I can use the fleece side to wipe and have it be extra soft on baby's bum. I love this diaper and can't wait to use it!!! Price: Her Small Printed PUL (like I received) is $11.49. That's a pocket diaper without an insert. But her OS are just $13.99! I like the Batman with aplix cloth diaper!! Also the Halloween themed one is super cute! I like the Spiderman and Batman diapers and the Orange Minky Jolly Roger cover. I am a Feedburner subscriber. I like the pink/purple circles OS pocket diaper with snaps. I like Wild Mountain Mommies on FB. i love the spiderman print diaper! I am a blog subscriber! Thanks for the giveaway. I love the Meow Meow one-sized pocket in snaps. I love the Sock Monkey Christmas diaper but it's not in stock until 11/1. My two favorite diapers are the Hoot Hoot Holiday cover (technically not in stock until 11/1) and the Pink Purple Circles. Like Wild Mountain Mommies on Facebook (Sarah Jane). I like the pink/purple circles diaper! zephyrsfolly at hotmail dot com loves the guitar pocket! I liked Mommy's Favorite Things, and already liked WMM. I subscribed to your email I am not sure if it went thru it said that you dont have your emails enable thru the feeder. Folling your blog on GFC! I LOVE the sparkly gingerbread men diaper!!! My fave! Now following you on Twitter as BlessedTXMama! 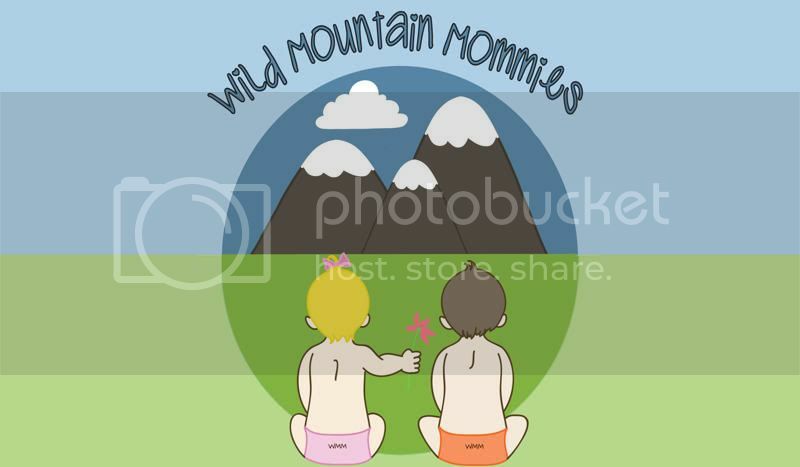 I 'like' Wild Mountain Mommies on FB! I like the sparkly gingerbread diaper. I am already a Fan of Wild Mountain Mommies on FB. I'm torn between the camo and the later gator- soo cute! A long time follower of Wild Mountain Mommies on facebook! I love the scarecrows diaper! I like the pink/purple circles OS pocket diaper with snaps! I follow your blog by GFC! I like Wild Mountain Mommies on Facebook! Your Twitter follower as jennem1. Public GFC follower as jennem. I love love love the Christmas Ornaments diaper!! Thanks for the chance. I love the Hoot Hoot Holiday Diaper, too cute!